Candelaria Texas, West Texas Ghost Town. Originally known as Gallina, Candelaria is in a rugged portion of the Chihuahuan Desert on the end of a road that was only opened in 1985. The post office was granted in 1901 and by 1910 the town had a healthy 543 inhabitants. A cavalry post was established there during the 1916 Mexican Revolution. In August of 1919, elements of the 8th Cavalry crossed into Mexico on the last punitive U.S. foray during the Mexican Revolution. The post was closed shortly thereafter and the town's population declined with the loss of its economic foundation. 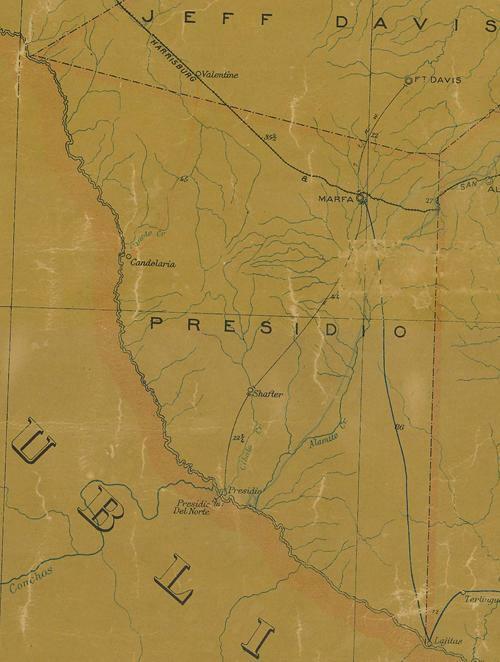 By 1925 there were only 250 people living there and only 75 for the 1940 census. Old Presidio County Jail in Candelaria. 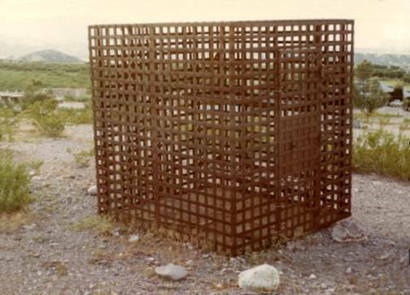 "It is the same one that now sits at the Presido County Jail in Marfa." Last year about this time I visited Ruidosa, Texas and noted with interest the Old Church in ruins there. Today while revisiting the area via the Internet I find the stories about Ruidosa and separate location Candelaria showing photographs of that same church. Mistake?